This biggest problem will be heavy rains in the Southern Plains on Black Friday and Saturday. 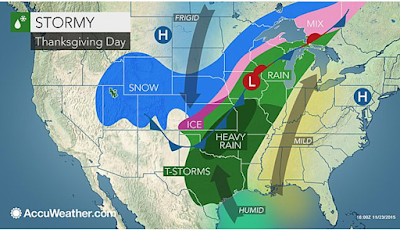 Here is an overview from AccuWeather. 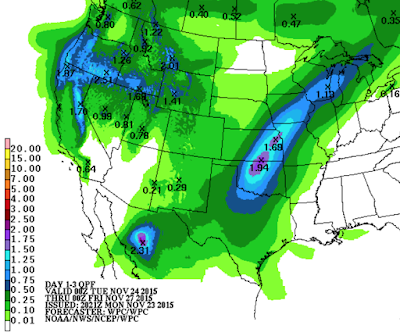 Here is the forecast rainfall from 6pm this evening to 6pm Thanksgiving Evening. And, the heavy rains get started Thursday night. 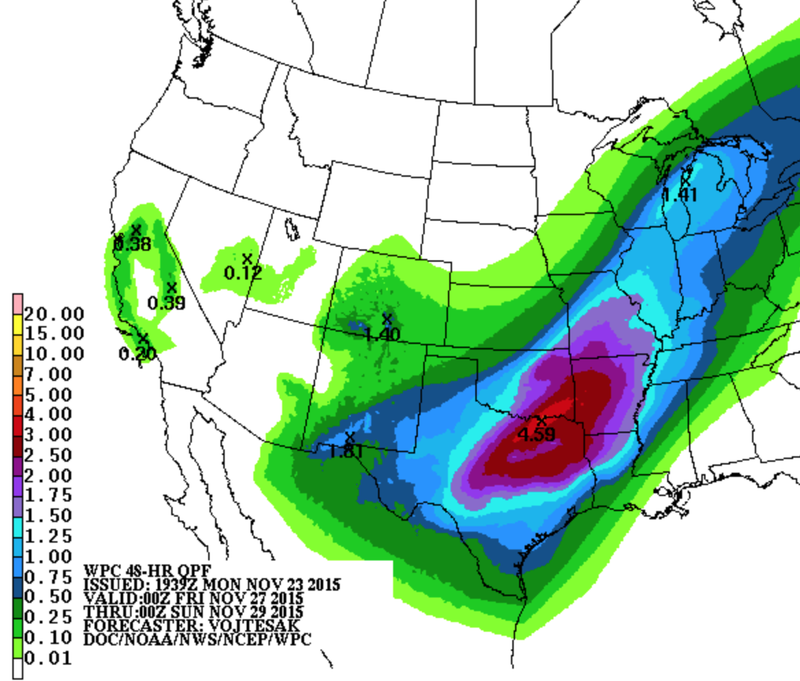 That is a forecast of nearly 5" along I-35 between the Red River and Dallas. The heavy rains will likely cause mild delays at the Dallas airports. 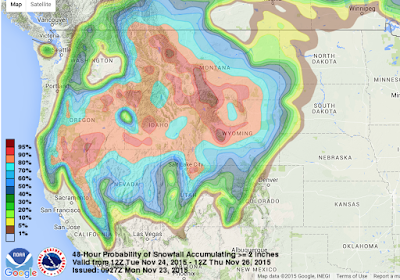 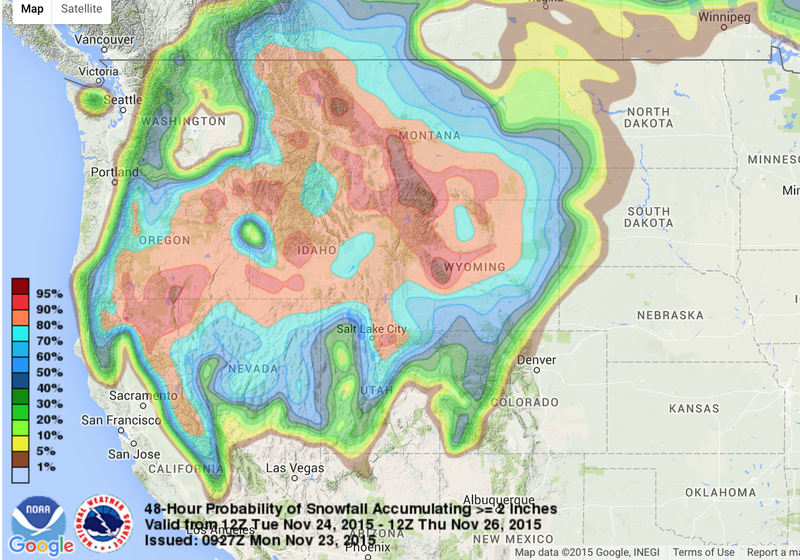 Here are the probabilities of 2" or more of snow accumulating between 6am CST Tuesday to 6am Thanksgiving Day.